Despite advances in DNA testing and police investigative skills, hundreds of Canadian crimes remain unsolved. Trails grow cold, and decades can pass before a new lead or witness comes forward. 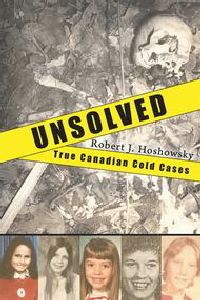 Taking the reader on an odyssey through all aspects of the crimes, Hoshowsky examines 12 open murders and disappearances from 1967 to the present that continue to haunt us still.